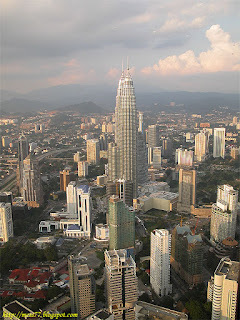 KUALA LUMPUR or KL as it's popularly known is the youngest Southeast Asian capital and the largest city of Malaysia. The city is a multi-ethnic, multi-cultural and multilingual society, consisting of Malays, Chinese, Indians and other indigenous tribes. Malay is the national language of the country. Kuala Lumpur is one of the most pleasant, hassle-free countries to visit. The city is clean, comfortable and safe. It has stunning examples of modern architecture like the Petronas Towers, interesting monuments and other places that will kept you busy. It's easy to get around and there was something about that city that just made me feel so comfortable. The people despite from different races (Malay, Chinese and Indian), they have a very good harmonious relationship. We took the Philtranco Shuttle Bus in SM Megamall for our trip to Clark International Airport (approximately 1- 1/2 hours travel). The single trip ticket costs P300.00 per person. Bus ticket can be purchased on the bus or you may buy it in advance from any Philtranco bus operators. We decided to book a flight with Air Asia Airline. A Kuala Lumpur-based airline with a ticketless service and a Low fare, no frills Airline. 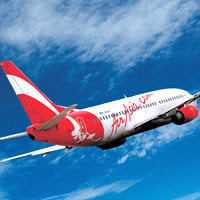 Air Asia's fares are significantly lower than those of other operators. This service targets the guests who will do without the frills of meals, frequent flyer miles or airport lounges in exchange for fares up to 80% lower than those currently offered with equivalent convenience. No complimentary drinks or meals are offered. Instead, Air Asia offers "Snack Attack", a range of snacks and drinks available on board at affordable prices and prepared exclusively for Air Asia's guests. Finally we arrived at Kuala Lumpur International Airport (KLIA) around 8:30 pm (4 hours travel). Then the tourist guide from the Borneo Tours Travel Agency picked us up and transported by van to the hotel along with eight Filipino tourists. The ride took us at least an hour. KLIA is Malaysia's main international airport and is situated in Sepang district, in the south of the state of Selangor, about 50 km from the capital city of KL.